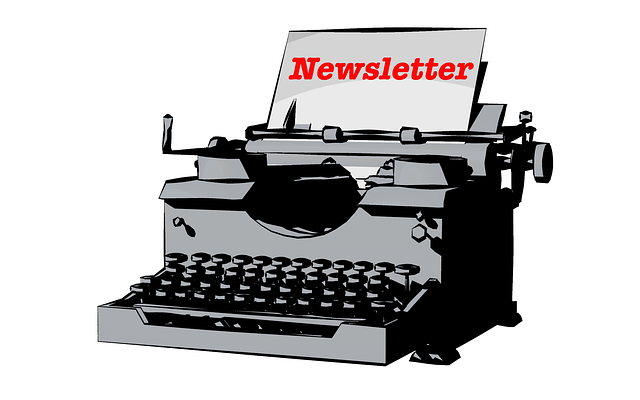 Welcome to the new slimmed down newsletter. Here I am just telling you news about my writing though I still include a few tips for writers. At the end you of this newsletter you will find out how to stay in touch with what the imprints are doing. I’ve recently started a U3A Creative Writing Group. This works like some of the other groups you may know – such as Final Portfolio and Writers’ Workshop at the University of Salford, WC2 in Winchester and SCBWI- North West. Some of you may know me in one of those contexts. Basically, we email work about a week in advance and then we critique each other. We don’t have a rota - U3A members are often very flexible with their time – holidays, grandparent duties and illnesses. It just seems to work out right. And if we have too many submissions, we just discuss which we’ll hold over until the next session. We also do a creative writing exercise each time we meet which is the second Thursday in the month. Members take it in turns offering the creative writing exercise. We meet in the Athenaeum - sounds good, doesn’t it? This is right in the middle of Bury, two minutes’ walk from the Metrolink and bus station. We pay £1.50 and that includes tea or coffee. Fabulous. I’m actually not doing a lot of writing at the moment. Preparing for the house move is still taking some time. I’ve also been doing some marking for Salford University and I can only find time for both of these activities if I cut down on my writing. I’m pleased to be getting back to it over the next few days. I’ve added several titles to this over the last month. It continues to grow. You can find it here. Do take a look if you’re into children’s books. This month I’ve included Nasty by Michael Rosen, Malkin Child: a story of the Pendle witches by Livi Michael, Maximum Ride by James Patterson, and both volumes of Goodnight Stories for Rebel Girls by Francesca Cavallo and Elena Favilli. This month I had a clear winner: Lark Rise to Candleford by Flora Thompson. I picked this up whilst we were on holiday last year. My Kindle had run out of juice and I couldn’t plug it in anywhere near where I could sit comfortably to read. There was a drawer and a cupboard full of books, however, but unfortunately most of them were utter rubbish. This one stood out. It had a picture from the TV series on the cover. Yes, that would do! I’d enjoyed the TV series. I’d had a close encounter with it earlier. Had I repeated my A-levels I would have had to read that for English Literature. I didn’t repeat A-levels for two reasons; I’d already done the very best I could. For English Literature, French and German the syllabus changes every year so you would be starting from scratch. I got three unconditional offers from Russell Group universities as it was. I’ve heard that this novel – if it can be called a novel - is autobiographical. Is Laura really Flora? Did she work for the Post Office? And then go and live in West Cliff, Bournemouth? It appears to be a factual account of a hamlet, a nearby town, and a quite populated and civilized village. One can see where they got the ideas from for the stories in the TV series and I would say there is actually room for even more. There are short anecdotes about life in the locations, particularly the hamlet, and Laura’s story emerges, particularly towards the end. Thompson’s prose is smooth and engaging. I find her so much more readable than some more modern writers. That may be surprising! This month I’m giving away The Bets of CafeLit 5 in which I have a story. Note, that normally my books and the books supplied by the imprints I manage sell for anything from £0.99 to £10.99, with most on Kindle being about £2.99 and the average price for paperback being £7.00. We have to allow our writers to make a living. But I’m offering these free samples so that you can try before you buy. As I’ve not been writing so much, I’ve also not been posting here. However, I was in Rome the weekend of 29 March to 1 April and we came across a house in the Jewish Quarter that had three Stolpersteine outside it. As I explained to my friends what these signify - that they are cobblestones that are meant to trip you up and make you look – a man came out of the house. He explained that he was a Holocaust survivor and that the three stones are there for his parents and his uncle. I had a delightful time at Manchester Grammar School on 28 March. I attended their Parents’ and Boys’ Reading Group. This happens once a term and takes place in their beautiful library. · How Grammar School almost killed that instinct – there was so much to learn and so much reading to be done as part of the curriculum. But there was one teacher, an English teacher, who was also the school librarian, who provided creative writing sessions. · How that holiday in Nerja crystallised for me why I really wanted to write and how I started writing for middle grade. · How I have gradually progressed to writing for teens and young adults – this really made sense as I taught 11-16 year olds for twenty-five years. · How now I’m gradually going over to writing about feisty women – who often first appear in the stories as young adults. · I did talk about my MA and PhD and how that led to me working at Salford University, so I was able to fit in a little about what we do there. Next I read some extracts from the first book in my Peace Child trilogy (soon to become four books) The Prophecy . This was followed by a question and answer session. · In places it reads almost like a script – we learn the story through the dialogue. · The scene with the dancers is almost surreal. · It was interesting to see how the writer created the world – we are introduced very gradually to the Handicapper. Bridge House Authors For all those published by Bridge House, CafeLit, Chapletown or The Red Telephone or interested in being published by us. General news about the imprint. News for writers. Link to book performance. Sign up here. Gill’s News: News about my writing, The Schellberg Project, School Visits and Events. Find it here. Books Books Books Weekly offers on our books and news of new books. Find them here.